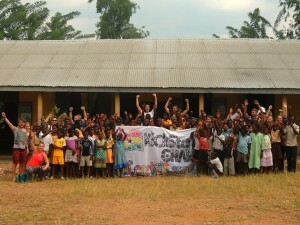 During term time our work is conducted in local schools. The assistance we provide is aimed at working with teachers and the sharing of ideas and cultural understandings. 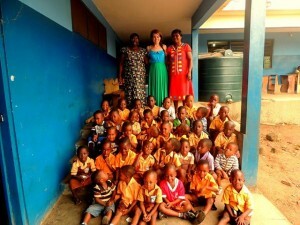 Teachers in Ghanaian schools often have multiple classes, with more than 40 students in each, and will also teach more than one subject. The contribution of our volunteers allows them the opportunity to concentrate on smaller groups and teach in a more focussed way. Ghanaian and Western teaching methods can vary, but the presence of our volunteers offers an opportunity for the exchange of ideas that will benefit the school and teachers as well as our volunteers. Requirements: Volunteers should hold a formal teaching qualification (e.g. PGCE, TEFL), or must have past experience in a teaching environment. References will be required. Please read the volunteer specification before applying. 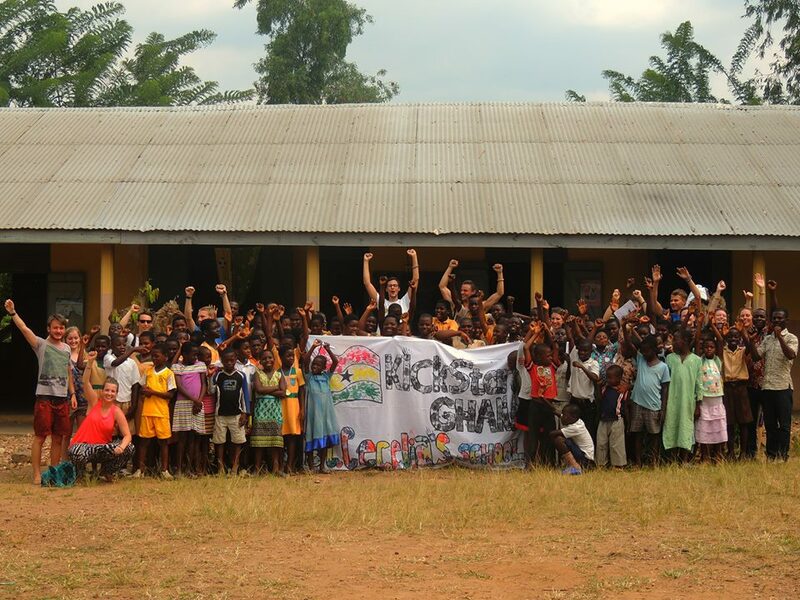 During the school holidays, KickStart Ghana volunteers will contribute to one of our extra-curricular education and activities programmes. Previously, we have worked at local schools in the area providing holiday activities and classes that would not usually be available to the children. Our volunteers have also taken part in a summer reading club that allows children from the surrounding area access a wide range of books to practice their reading and English language skills. Requirements: Volunteers must have past experience of working with children in a structured environment, such as scouts, guides, summer camps, youth clubs etc. Past teaching experience would be an advantage but is not compulsory. References will be required. Please read the volunteer specification before applying. 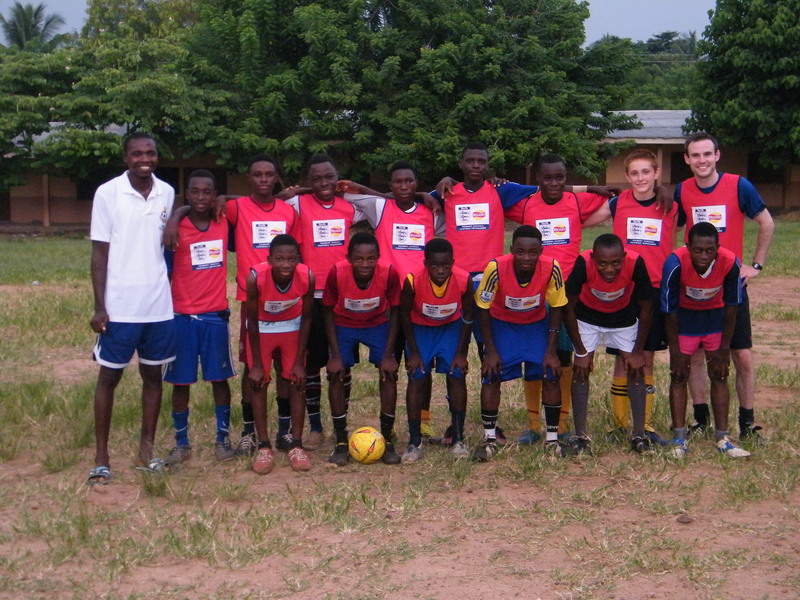 The majority of KickStart Ghana’s sports coaching is based on our work with Dynamo FC. Dynamo has now grown into a five team club, with U12, U14, U17, Mens Team and Womens Team. The aim of supporting Dynamo is to give local children the opportunity to be involved in organised football activities which will develop their sporting skills as well as the ability to work in a team. The teams play in leagues that are run at various times through the year. Training, though, is a year round activity and takes place on weekdays between 4 and 6.30 pm. Each of the teams has specific training days and volunteers will be responsible for organising training activities for the players as well as looking after and maintaining club equipment. During term time volunteers might contribute by helping with PE lessons in local schools, while in the holidays they will be involved in providing outreach sports programmes to children in the local area. 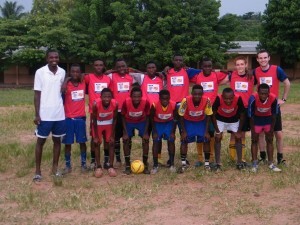 Requirements: Volunteers must have either a basic football or other sports coaching qualification (e.g. FA Level 1 Badge in Coaching). Volunteers not holding a qualification but with extensive previous coaching experience will also be considered. References will be required. Please read the volunteer specification before applying.